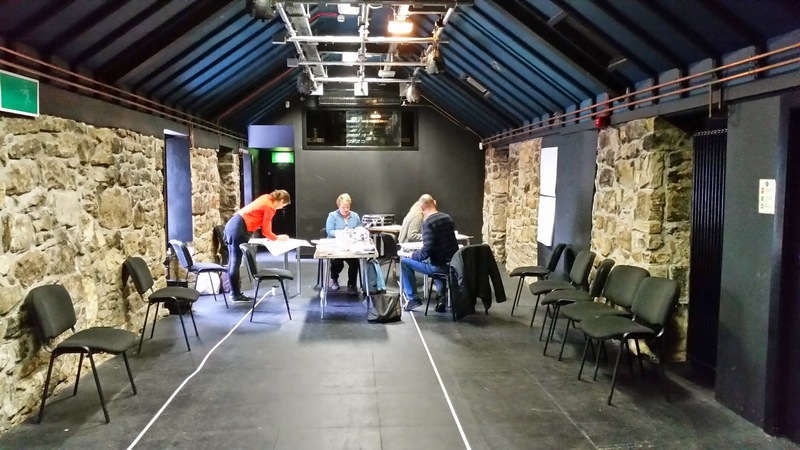 We were working with three wonderful actors, and it was pretty special for me to hear my first draft of this new play, set in contemporary Aberdeen, read aloud for the first time. 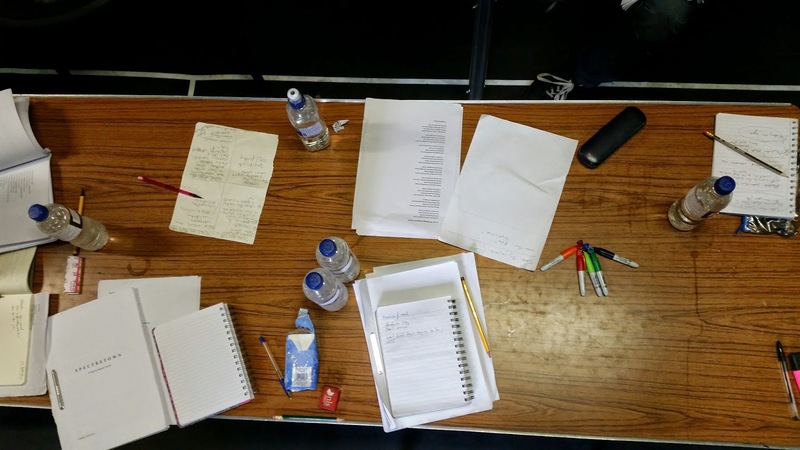 Thanks to the actors Bridget McCann, Keith Macpherson and Lucy Goldie for their sensitive and insightful reading of the characters, and to Emily for guiding us through this first script development. We then spent a lot of time unpicking the play, the characters, themes, and everyone was very generous in the feedback about what did and didn't work. My mind was pretty much blown by all the discoveries we made, and I'm psyched to be cracking on with the next draft. Thanks to all at Cumbernauld for the warm welcome - we're really looking forward to hanging out with you guys some more in October, when we return for development Part 2! 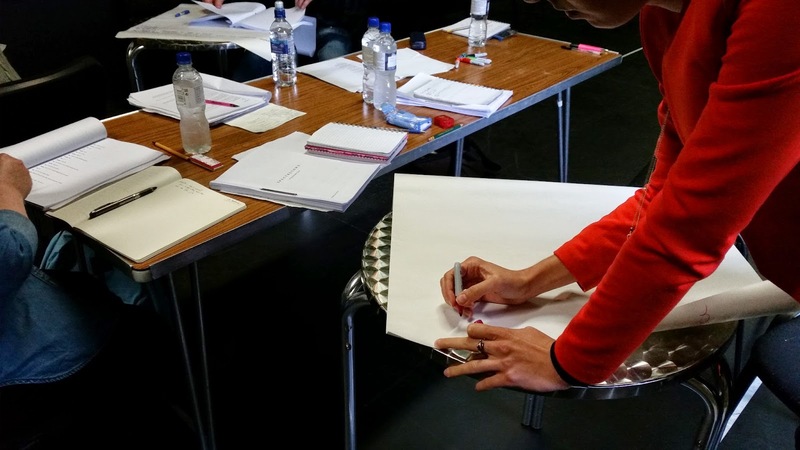 Last week we also had a brilliant production meeting. Great for us all to be in the same room together, planning the journey of this new show, and also making arrangements for January and another tour of 'The Idiot at the Wall'. Our much-loved Hebridean folk tale will be playing dates at Cumbernauld Theatre, Celtic Connections, and another festival we can't announce yet, but watch this space! #HappyIdiots. Also great to start working and planning with new Associate Artistic Director Tony Cownie, who is heading up lots of things at Cumbernauld whilst Ed's away. Big Thank you to Ed Robson for all the invaluable guidance and support since we began our residency at Cumbernauld - all the best on your adventures Ed!